How can School Psychologists Support the Implementation of Intensive Intervention?. Wednesday-Friday, May 22-24th, Better Together: Collaboration, Coordination, and Compassion- 2019 Student Support Conference...Registration coming soon! Introducing Mark McKechnie, new Senior Consultant for Equity in School Discipline. Mark is returning to Olympia after more than two decades in Portland, OR. Mark originally moved to Olympia from Dayton, OH, to attend The Evergreen State College. 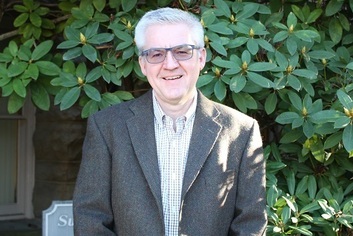 After completing his Master of Social Work degree at Portland State, Mark worked at Youth, Rights & Justice, first as a social worker and then as executive director. He helped create a program to advocate for students who are in foster care or involved in the juvenile justice system. Mark also provided trainings on education and mental health to professionals and foster parents across Oregon. In addition, he helped to pass laws there to provide school stability for students in foster care and to reduce suspension and expulsion, as well as discipline disparities for students of color, students with disabilities, and others. 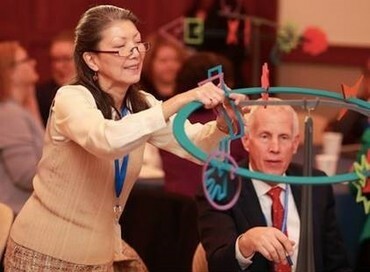 OSPI created the role within the Center for the Improvement of Student Learning (CISL), which Mark now fills, to provide targeted technical assistance to Washington school districts. His goal is to reduce and eliminate disparities in student discipline related to race, language, disability, housing instability, and other factors. He will be working in partnership with other offices within OSPI that work on areas related to discipline and equity, including The Office of Equity and Civil Rights, Special Education, and Title I/LAP. Consistent with recent changes in state law, Mark will be focusing his efforts on helping districts with higher rates of discipline and higher rates of discipline disparities to shift policies and practices away from punishment and zero tolerance toward positive and inclusive practices for students. His work will focus on discipline patterns impacting students of color, students with disabilities, low income students, and other disparately impacted student groups. The approaches he will be using in this role include working directly with districts to improve the collection and use of disaggregated discipline data; fostering partnerships between schools, families, and community groups; and coordinating technical assistance and training for districts with other departments, agencies, and organizations. Mark is happy to be contacted by districts, students, and families to begin these conversations. He can be reached at 360-725-6039 or Mark.McKechnie@k12.wa.us. Washington State House Representative Sharon Tomiko-Santos, House Education Committee Chair, and Representative Robert Behning of Indiana. Photo Credit to Paul Xu, Boston College, 2018. During the month of November, Andrea Cobb, Executive Director for CISL, and Kelcey Schmitz, Integrated Student Supports Program Supervisor, were invited to participate in the 2018 Building Systems for Student Success When Academics are Not Enough Conference hosted by Boston College, MA. Here they joined a committed group of education leaders, and state policy makers interested in learning effective ways to address students’ comprehensive needs and advanced integrated student support strategies. One participant and speaker was none other than House Representative Sharon Tomiko-Santos, who chairs the House Education Committee. Here, Washington was recognized for its leadership in integrated student supports, and the Washington Integrated Student Support Protocol (WISSP) was given mention several times during this conference as a resource. On December 3, 2018, Andrea Cobb, Executive Director of CISL, presented to the Washington State House Education Committee on the structure of Washington's Integrated Student Supports Protocol (WISSP), and recent development in the field of Integrated Student Supports. Andrea was joined by colleagues Tamara Shoup, Director of Family Engagement and Family-Community Resource Centers in Vancouver Public Schools (Vancouver, WA), and Brent Cummings, 21st CCLC Program Director in the Walla Walla School District (Walla Walla, WA). All emphasized the importance of having a system in place to identify and respond to student needs, leveraging students strengths and interests, and working in partnerships with families and communities to ensure their success. Follow the link below to watch the full presentation.